It is currently Wed Apr 24, 2019 2:16 pm. Well I want a divorce. As do most married people. I'm never divorcing you Miller. http://www.twitch.tv/populus_/profile (Highlights from the ceremony, check 'past broadcasts' for the full video). I apologize for the bad planning (timezones), a few people missed this event because of me. I'll shape up for next time, ultimately though, I blame Miller. This was a fun event, to bad Populus put the time in Swedish and messed it all up =(. On an up note I sold two cars during the ceremony and got to watch everyone die =). Also, noone won the Shut Up Banks prize for the super long service! Although I did see in the video someone mention I was long winded so I guess that counts. Contact me for your prize. Oh man that was fun! Thanks everyone for being good sports about being slaughtered! Hopefully you all got some decent prizes and a laugh. Glad someone picked up on all the subtle decorations in their bedroom too. 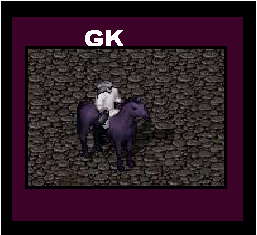 GK also wins a prize for referencing the Red Wedding recreation. Unfortunately he forfeits his right to the prize for killing so many ppl then grief killing their mounts. His prize will instead be handed out to a random person at a random time and location this week. Lucky for this event that my power stayed on. Thunder storm knocked me out a few hours later, literally 15 mins before mirage's castle fell.... spent 2 hours in skype on my phone getting updates on all the stuff i wasn't able to loot. Prepare yourselves for the Divorcing ceremony of Populus & miller (TBD). I'm always winning things that I'm losing. AM i a WOSER or a LINNER? GK is evil. Gotta keep both eyes on him. I have to admit, this whole sordid affair has still been bothering me days later. I am disgusted with myself for not seeing this coming from cA. Like I said earlier, I felt uneasy when that horrible wedding band started playing, as I faintly recognized the song they were hammering through. Well it's taken me a while, but I've tracked down the lyrics to that song, relayed to me by a thief with no arms. I'm sharing it with you all so that in event you hear this tune, you'll have ample opportunity to "run to the hills" (but perhaps that's a lyrical post for another day). that I must strum so low? They’ll blow all your limbs off. and no one’s there to heal. Here's a musical accompaniment I found that I quite enjoy. More than being slaughtered at least. http://www.youtube.com/watch?v=POiqCHeeQvg *Do not read the comments if you have not watched all of Game of Thrones on television or read George R.R. Martin's Song of Ice and Fire books. This wss awesome I feel the need to do another event SOON! Marvelously done! Too bad I was inactive during this period! oh i just remembered this today. hi uosa! re-watch the youtube video for this!